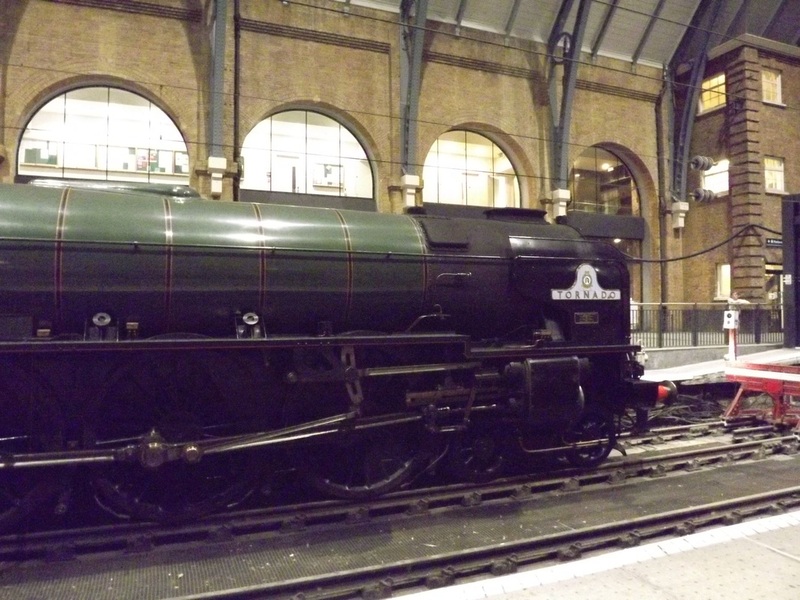 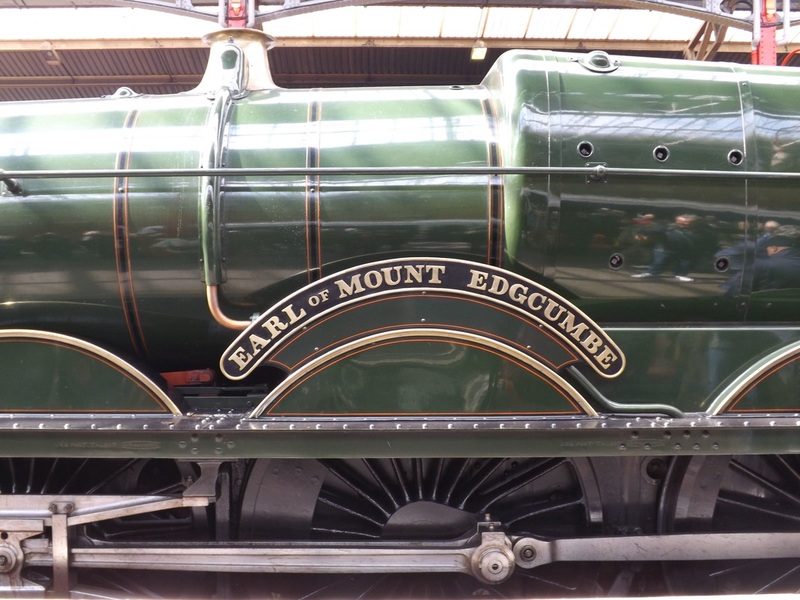 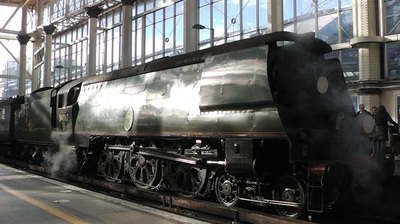 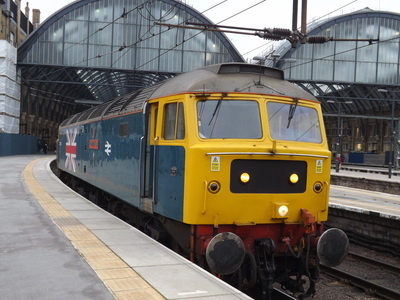 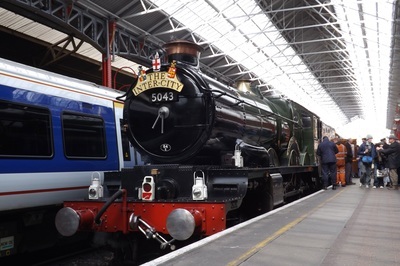 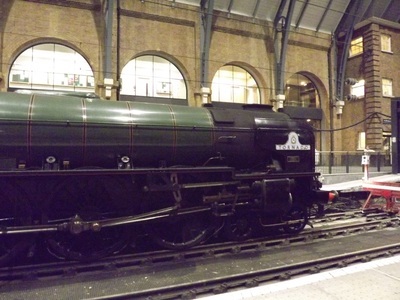 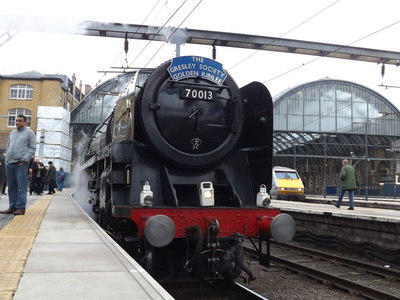 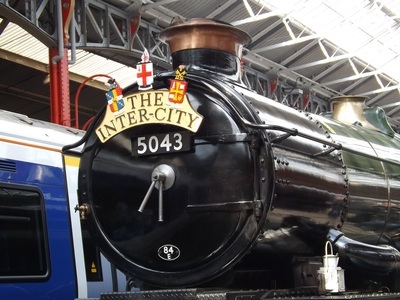 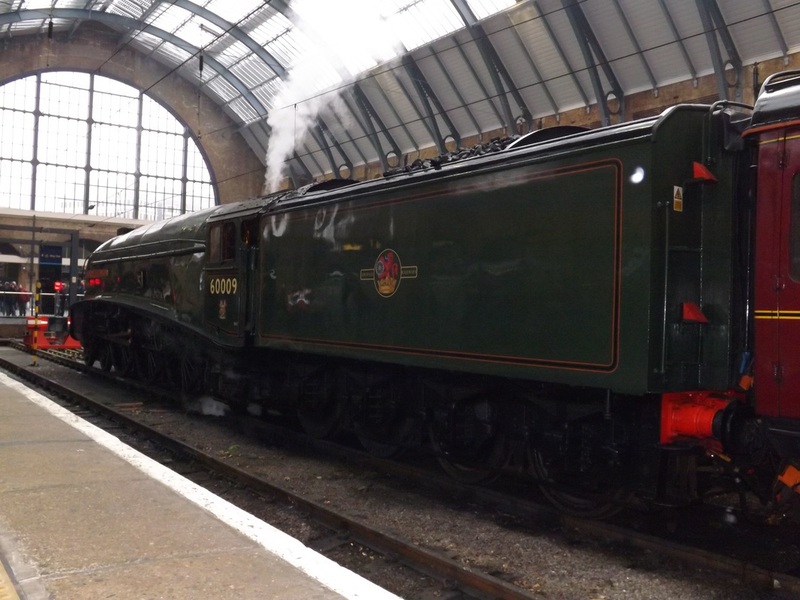 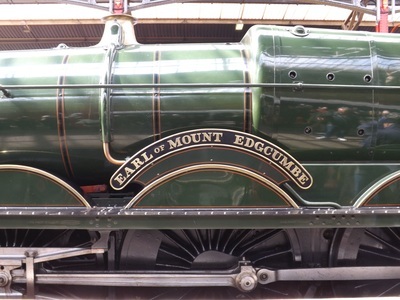 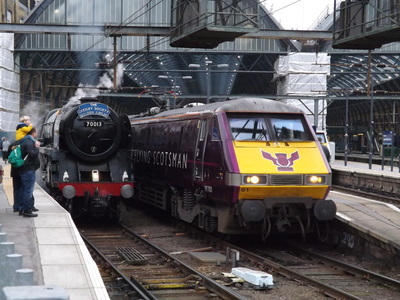 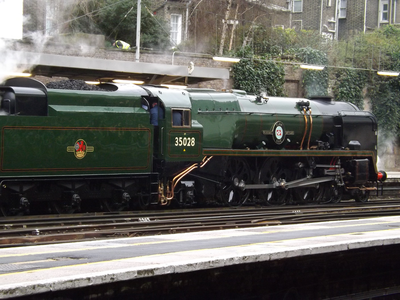 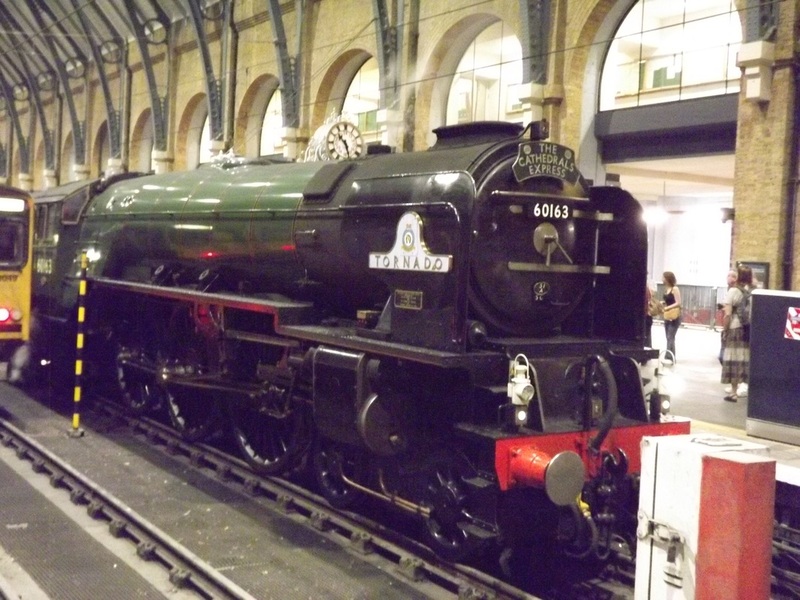 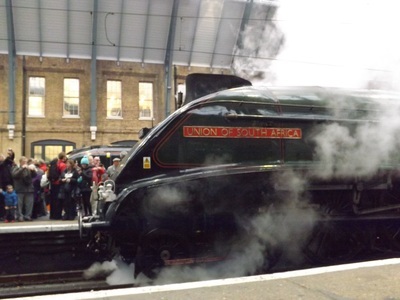 Summer 2011 saw two big name East Coast Pacific's repainted into new guises. 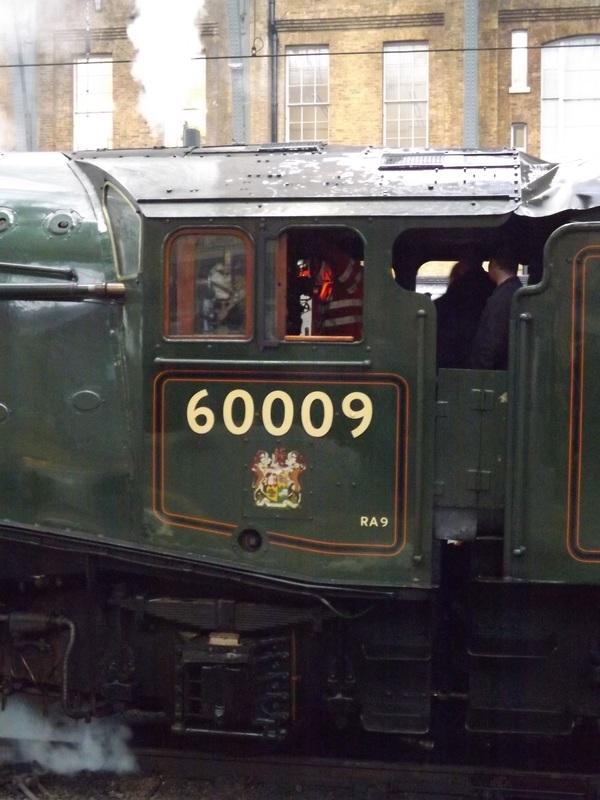 New build A1 60163 Tornado emerged in BR Green with early BR emblem, following maintenance in the first half of the year. 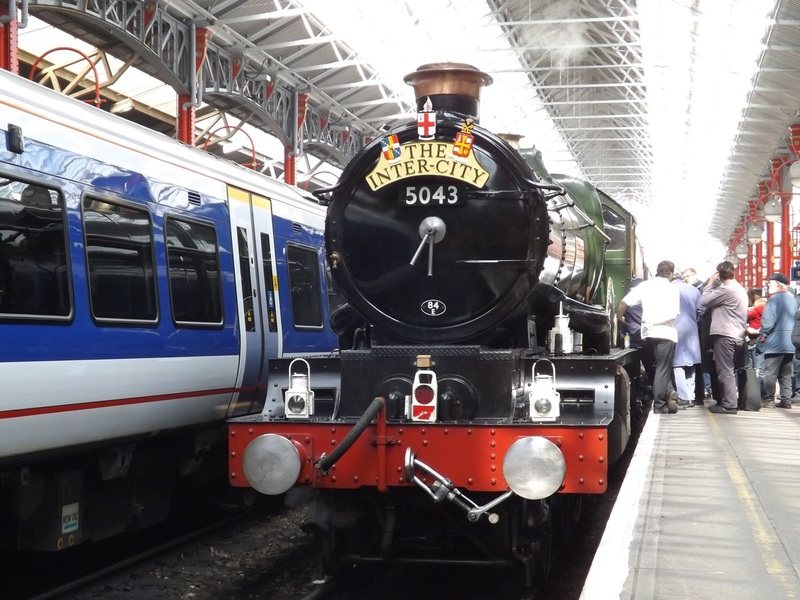 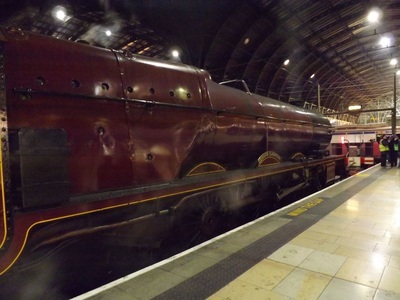 This was her first tour in new livery, and I caught her on 18th June at Kennsington Olympia. 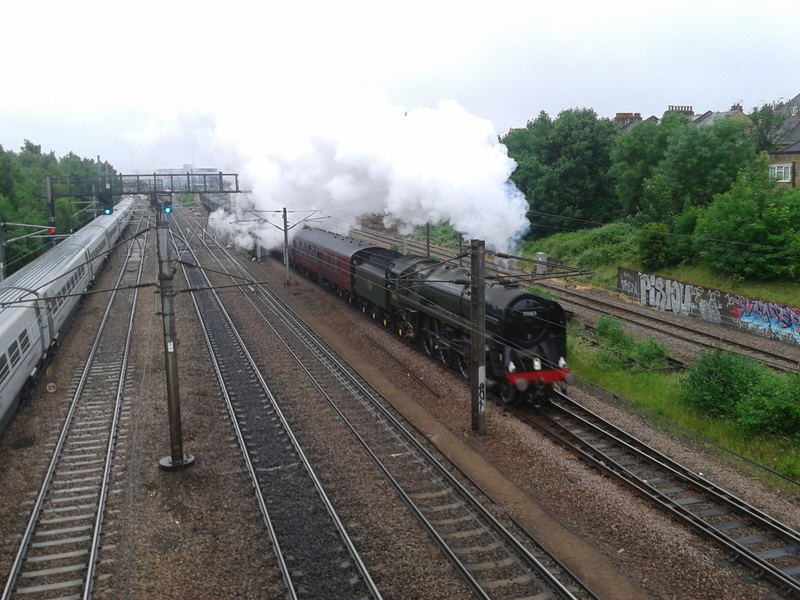 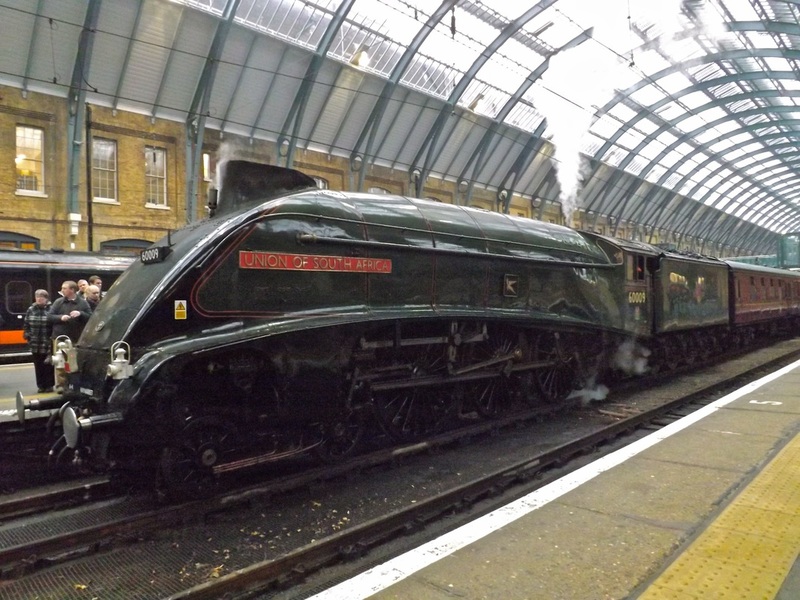 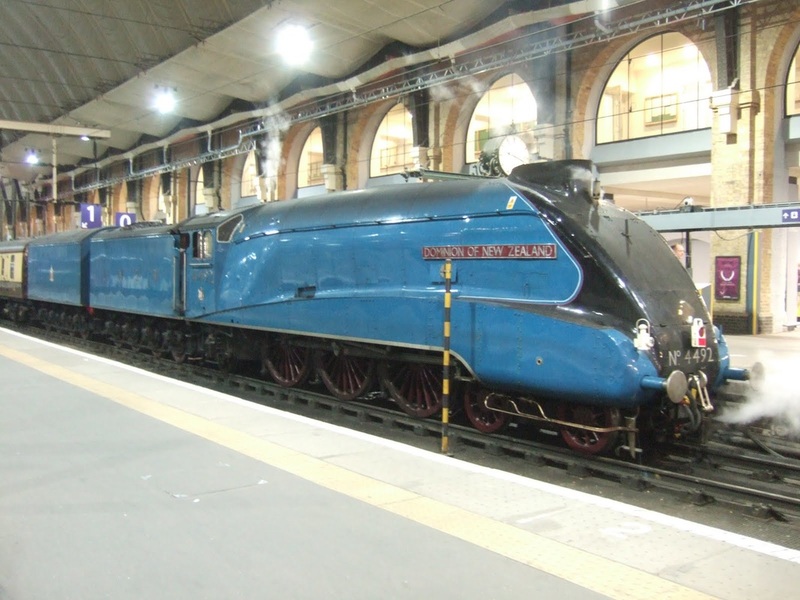 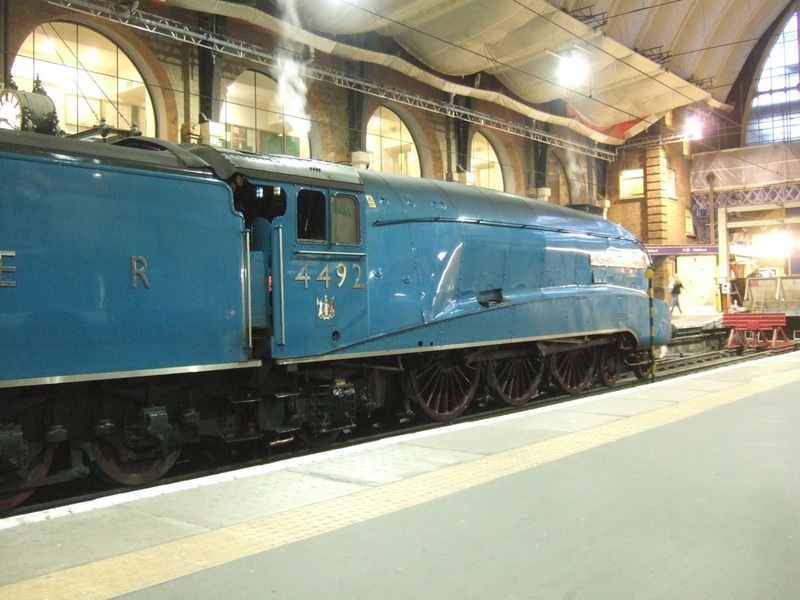 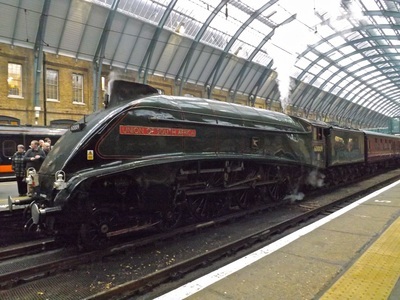 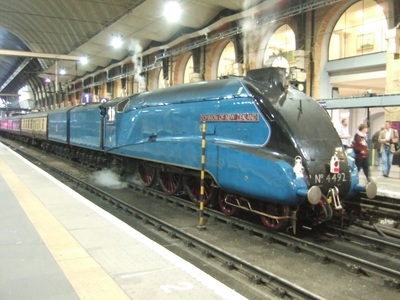 LNER A4 4464 Bittern emerged in LNER Garter Blue (previously being in Brunswick Green) and as sister locomotive 4492 Dominion of New Zealand.She is captured here on the East Coast Main Line at Finsbury Park and Kings Cross on the 9th July. 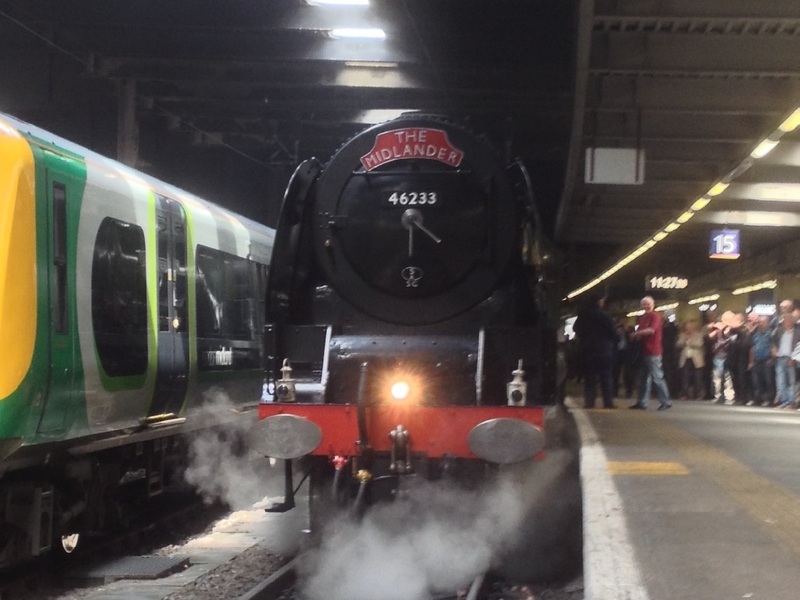 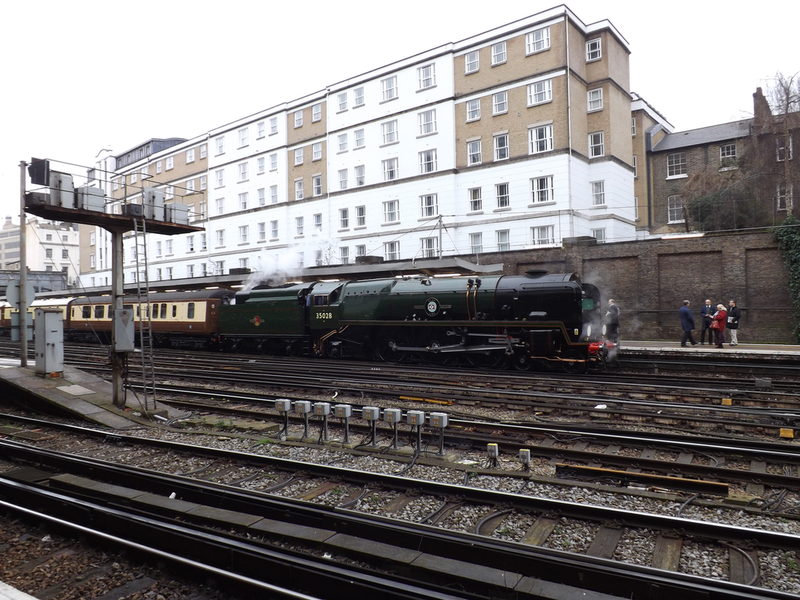 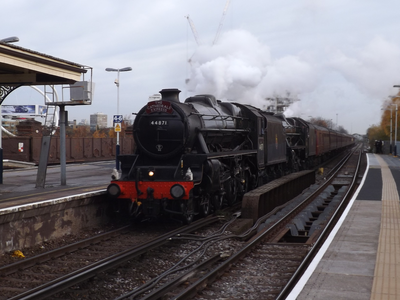 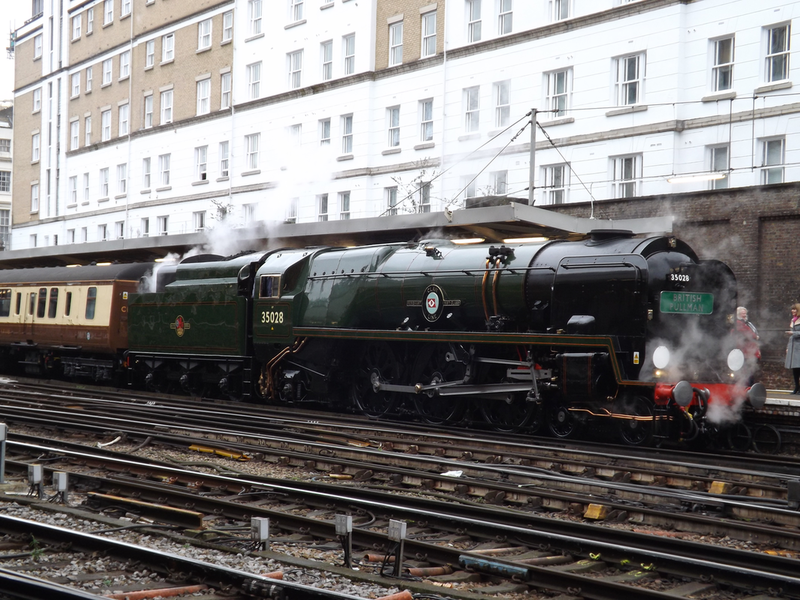 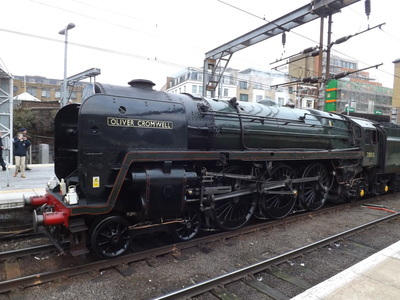 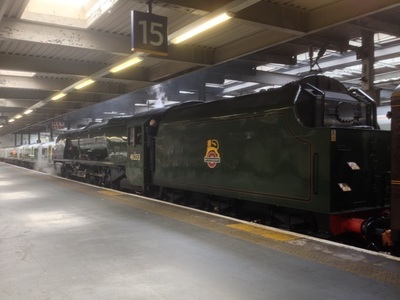 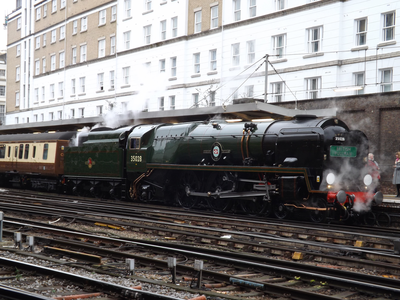 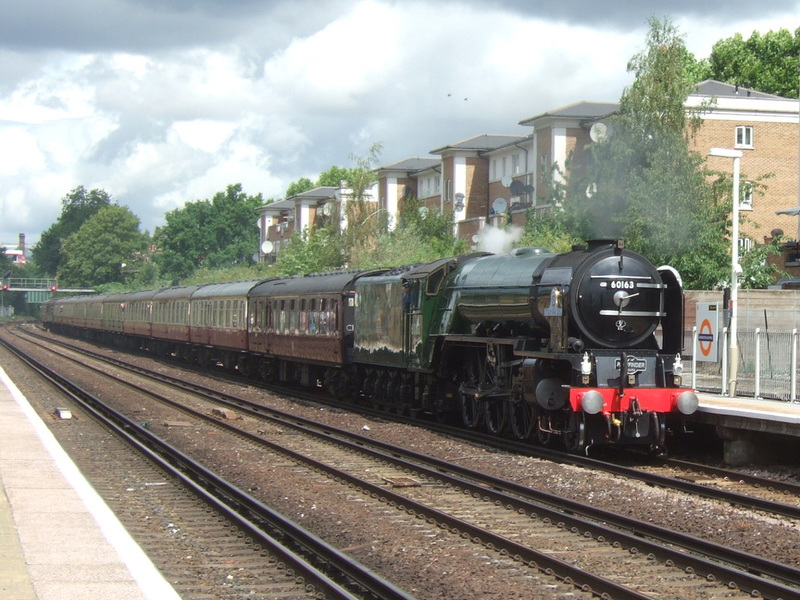 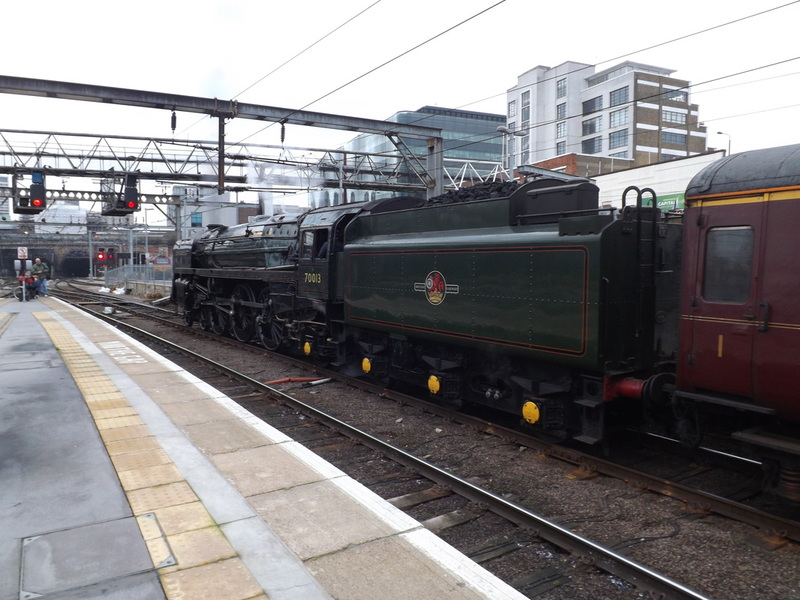 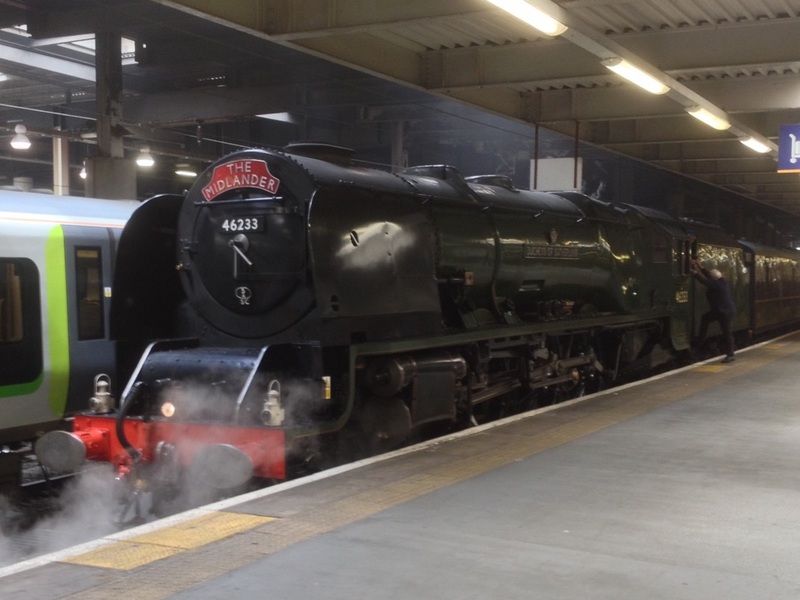 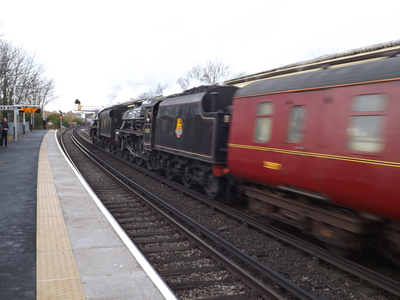 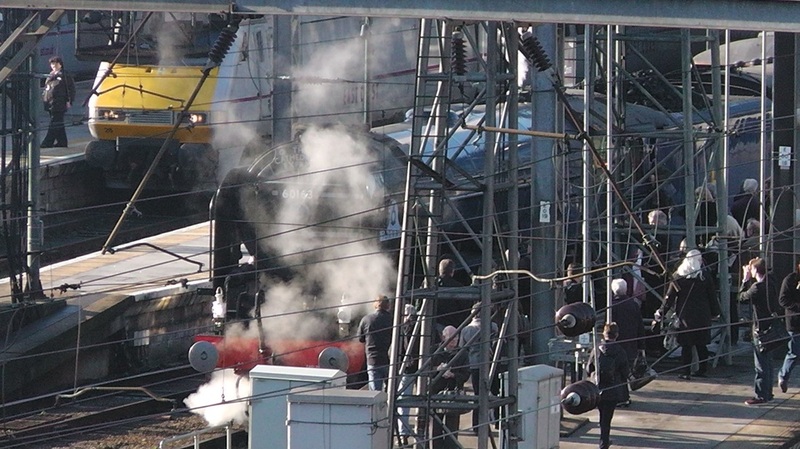 A rare trip down South for West Coast Railway Companies 8F 48151 is captured on the Green Train at Clapham Junction. 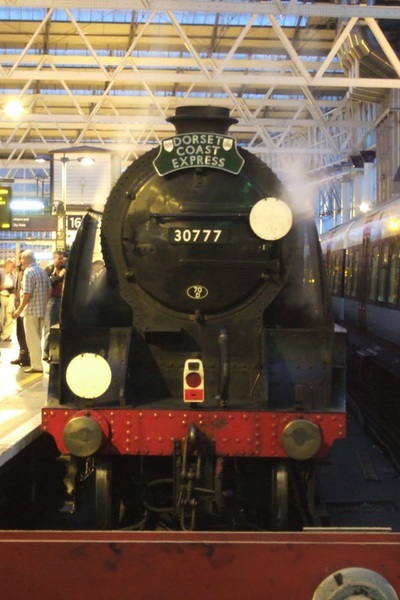 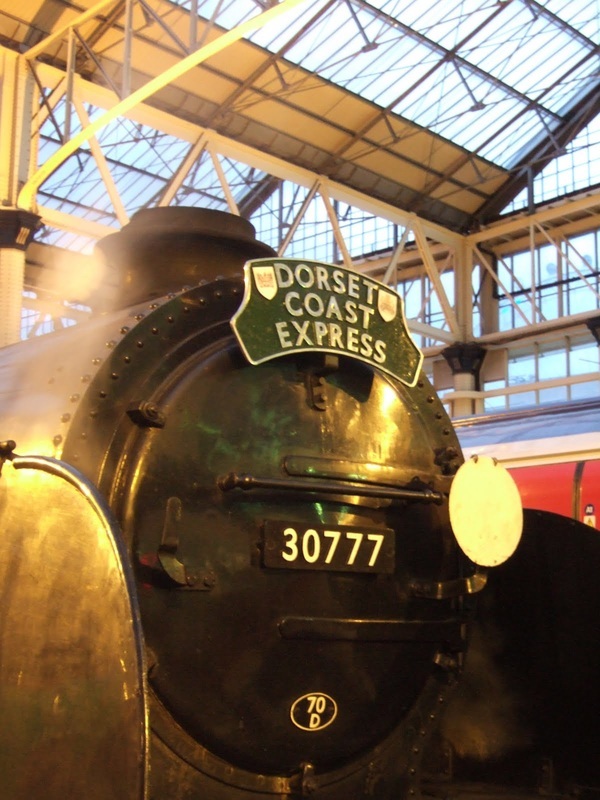 The Dorset Coast Express from London to Weymouth in 2010 included a banked section on the return. 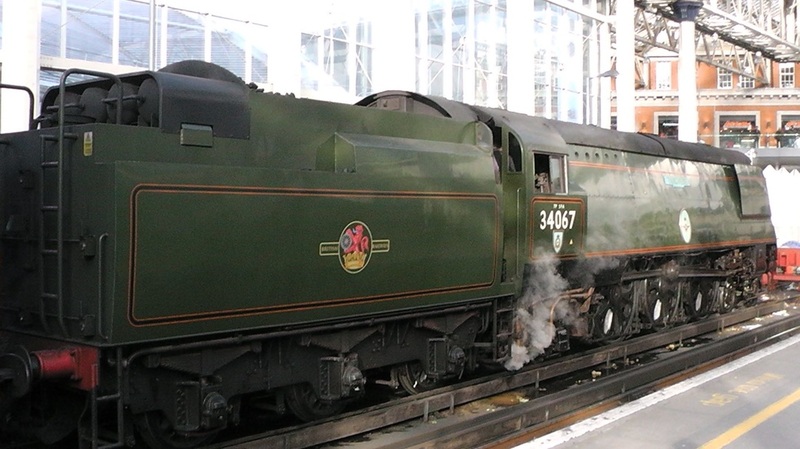 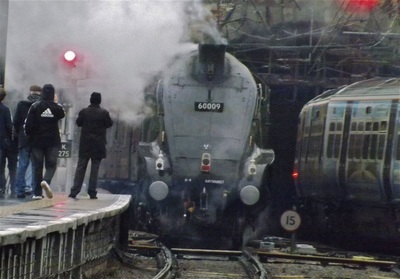 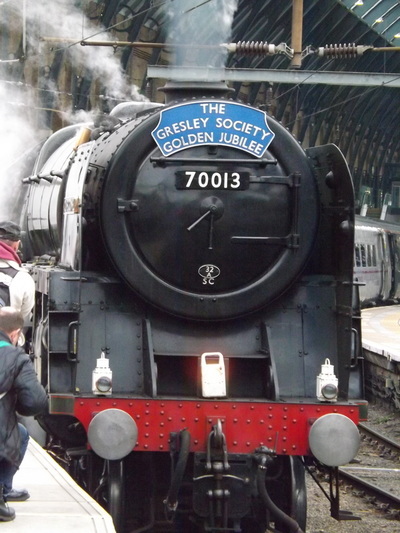 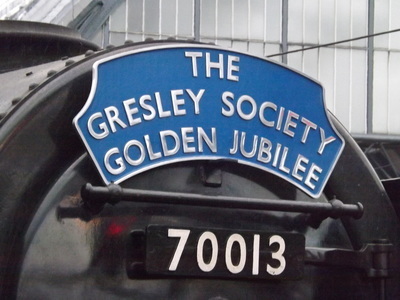 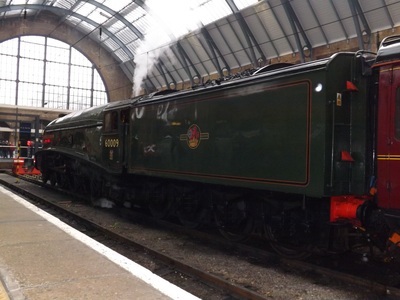 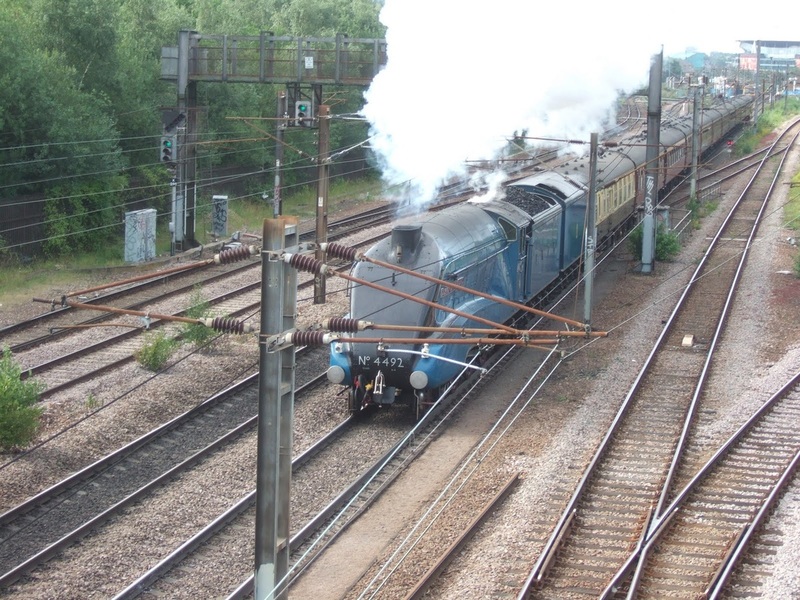 On 4th August 2010, 60019 Bittern and 30777 Sir Lamiel ran a leg each. 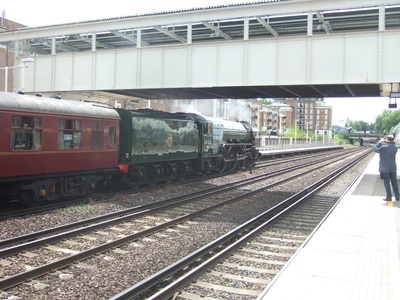 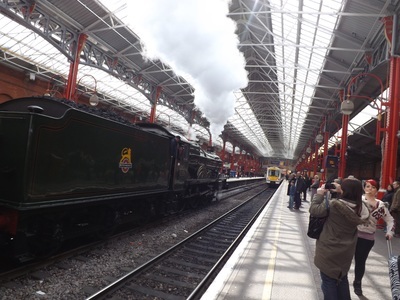 We see both engines here on the 4th August run starting with Sir Lamiel leaving Victoria in the morning, before A4 Bittern returns the train into Waterloo in the evening. 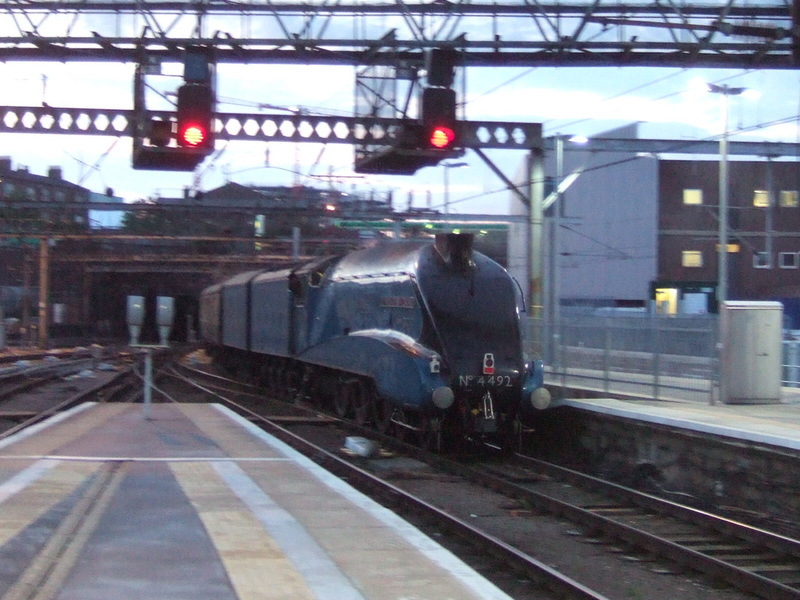 Apologise for the poor lighting on Bittern's return, I was playing about with a new camera a tried it in night mode. 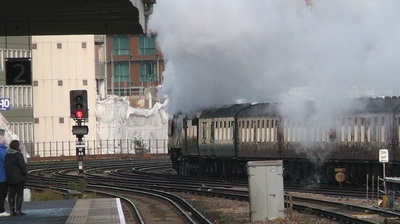 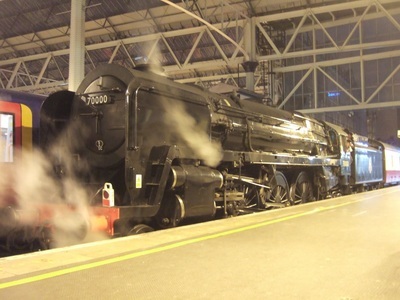 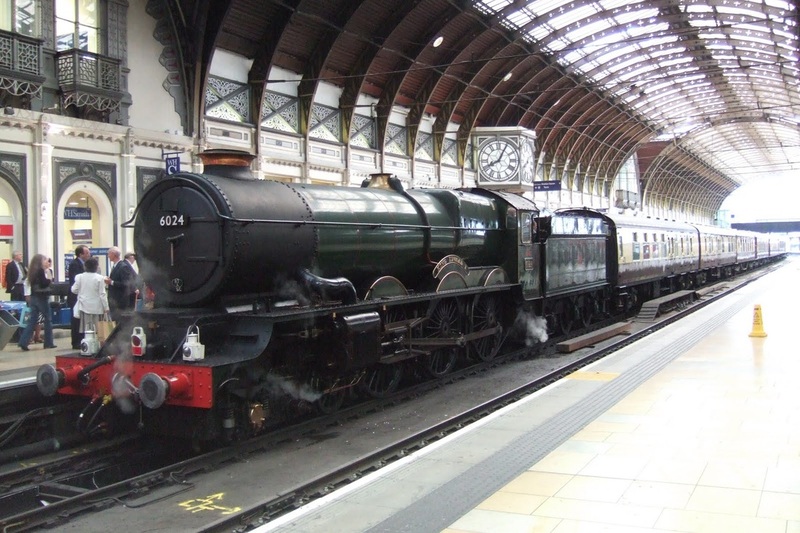 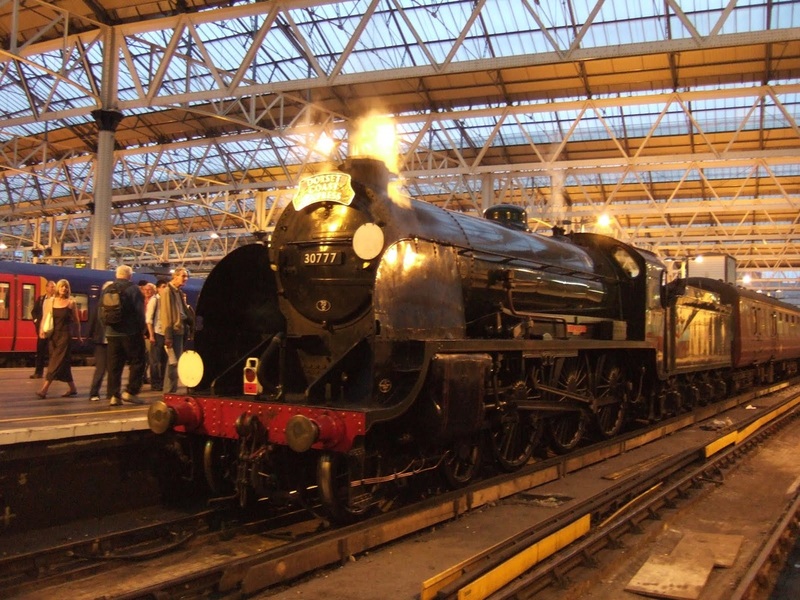 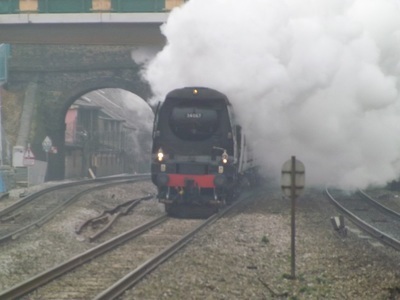 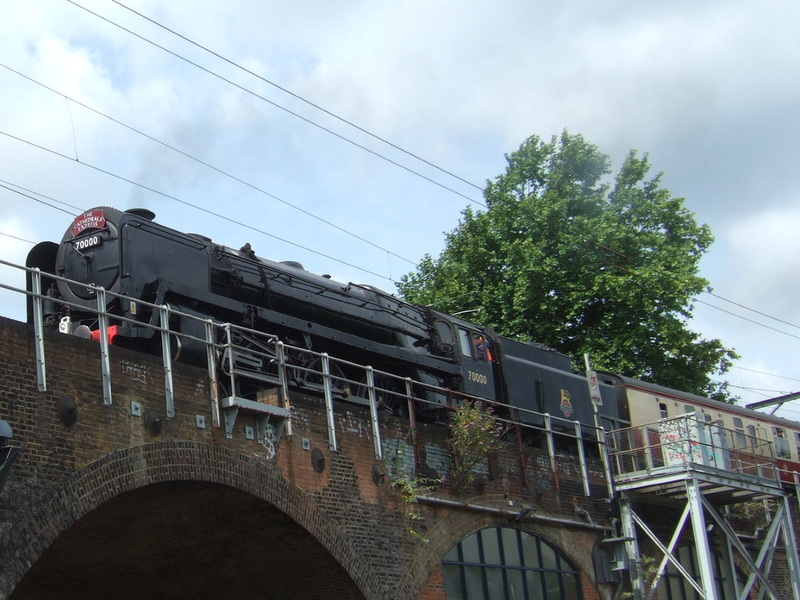 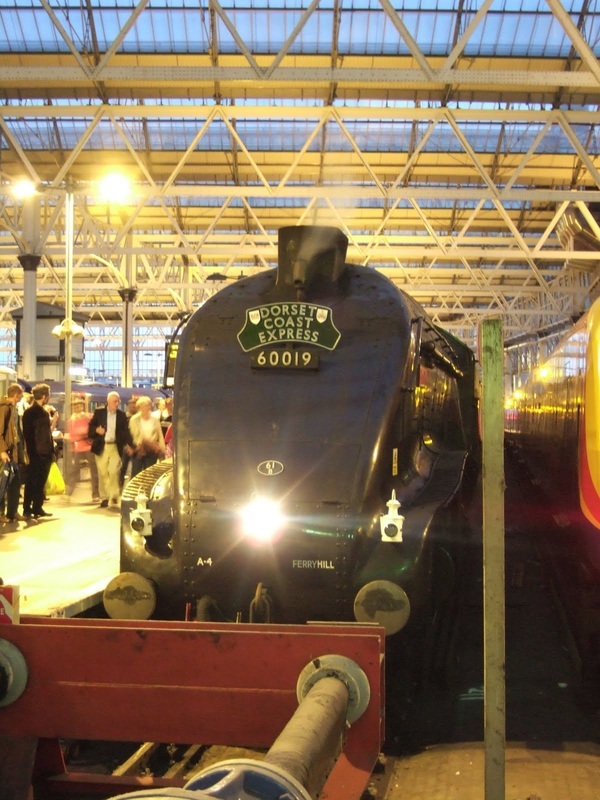 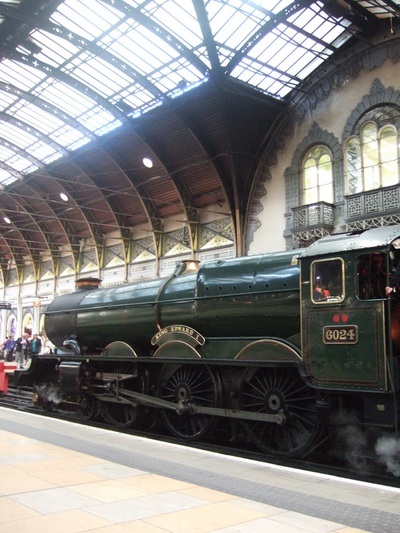 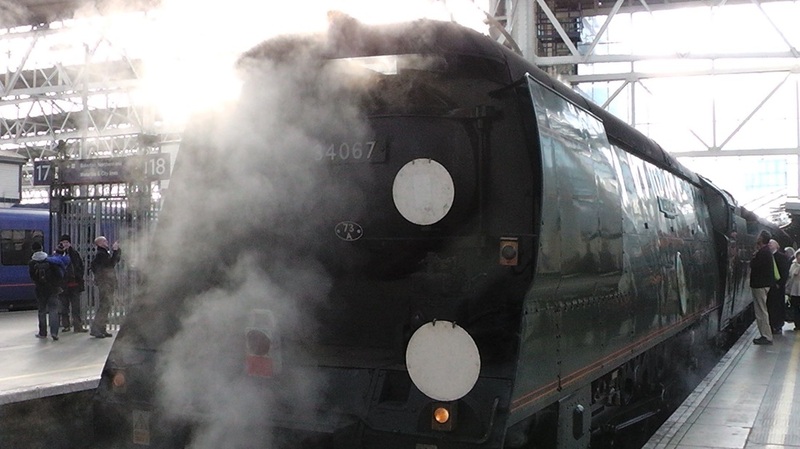 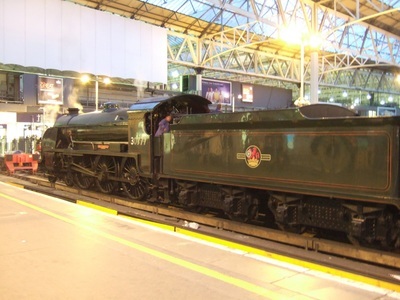 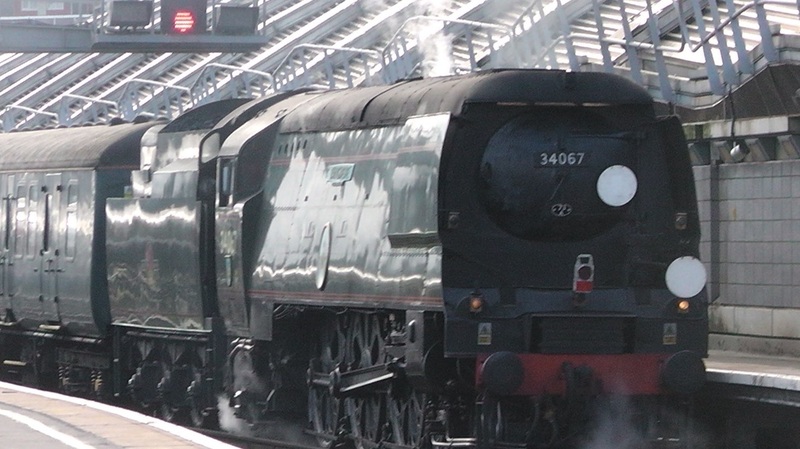 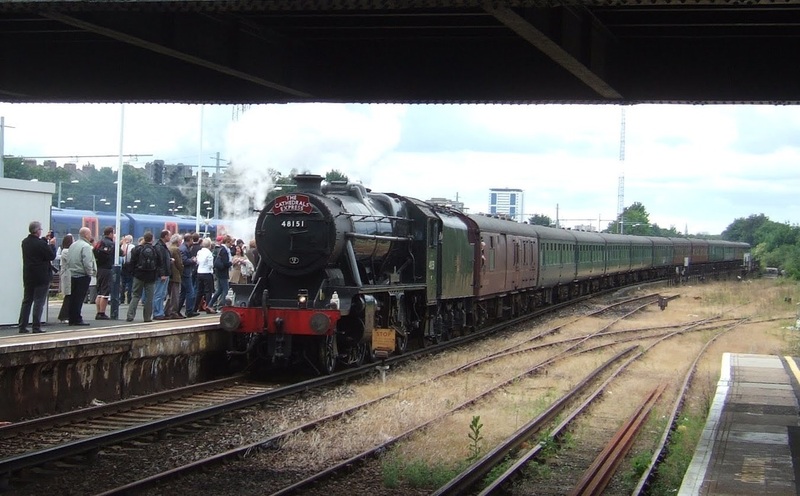 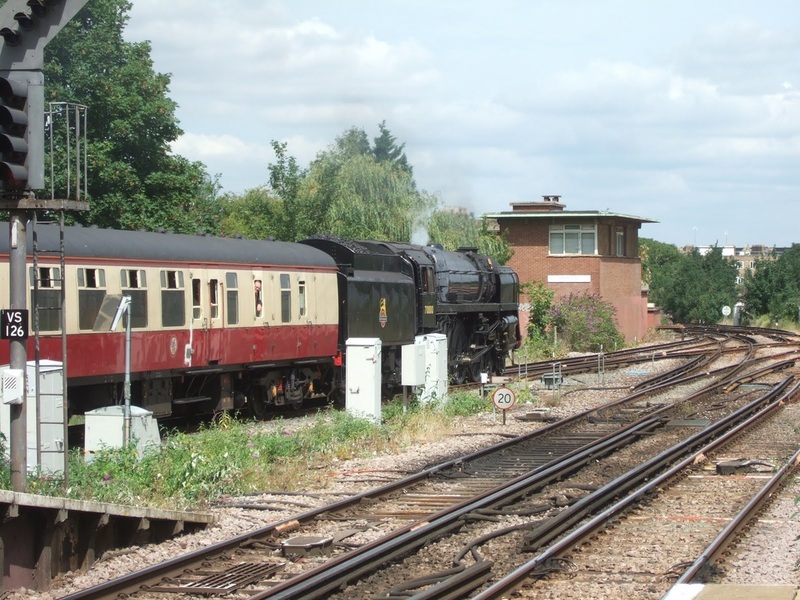 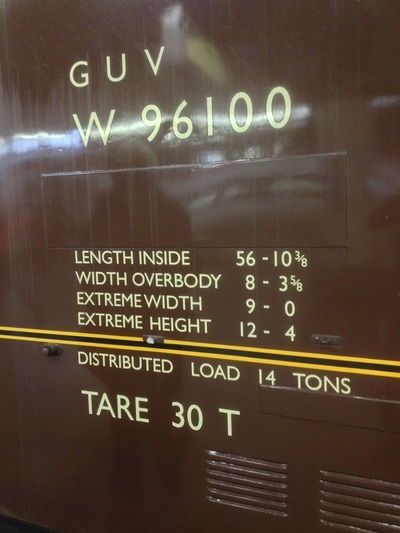 Sir Lamiel had a busy summer of it in 2010, in demand for trains across the Southern network. 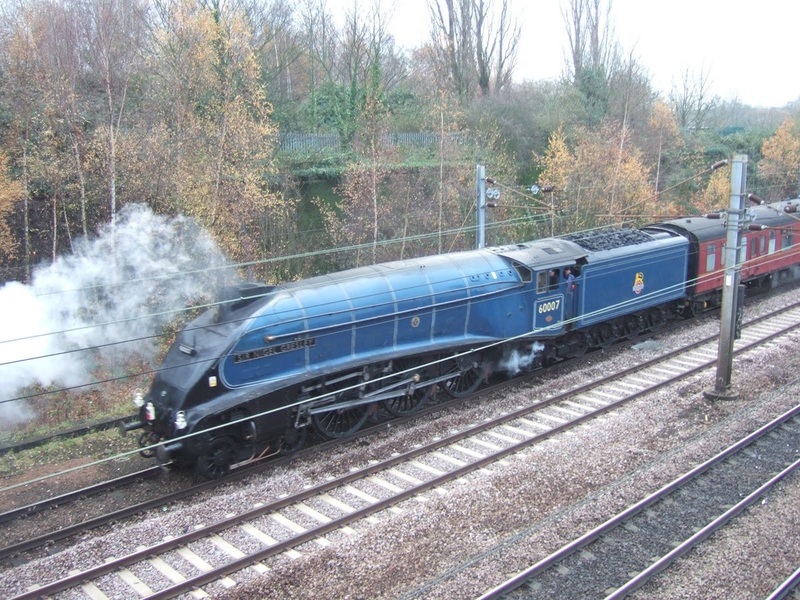 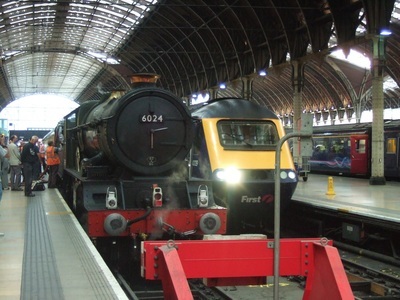 Its spent the majority of its summer on the London to Weymouth line, usually on the Wednesday 'Dorset Coast Express', a turn shared with 60019 Bittern. 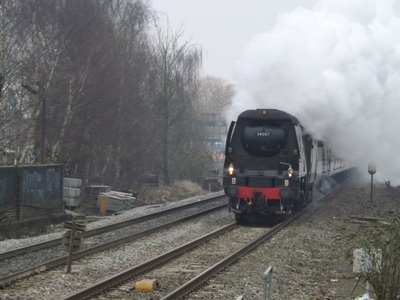 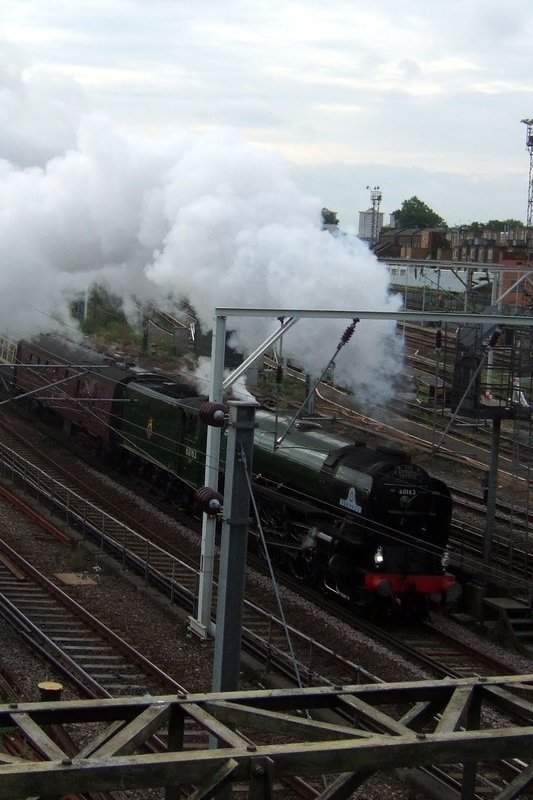 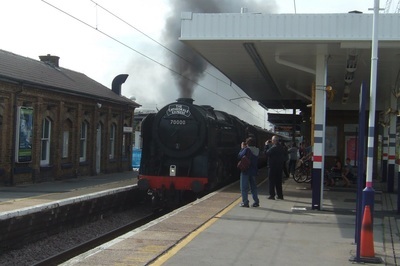 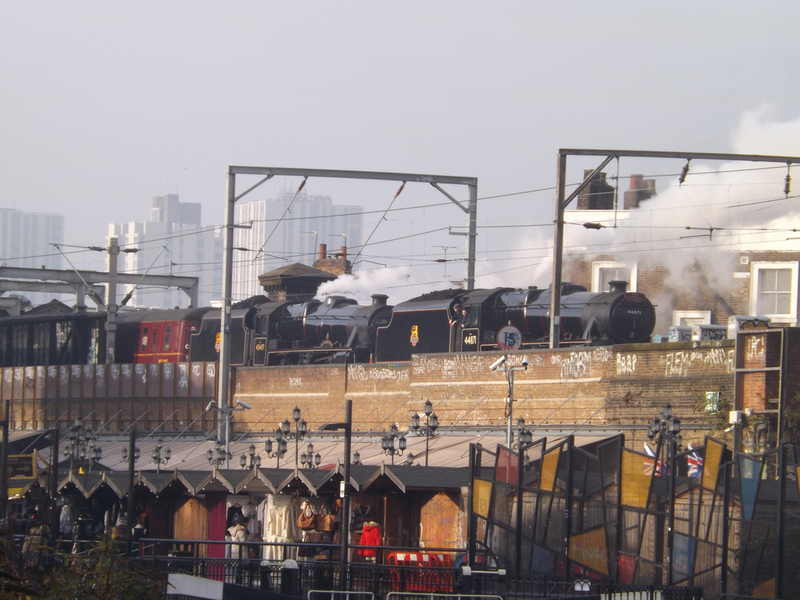 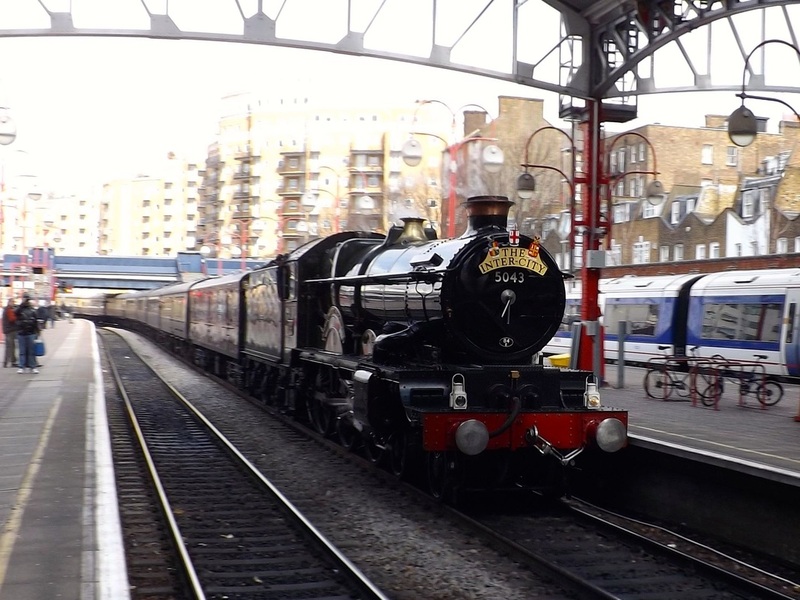 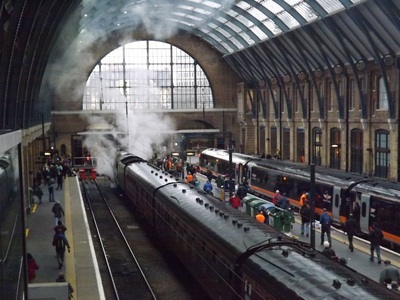 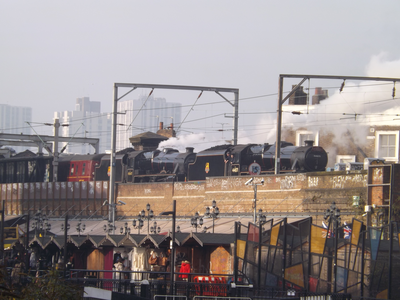 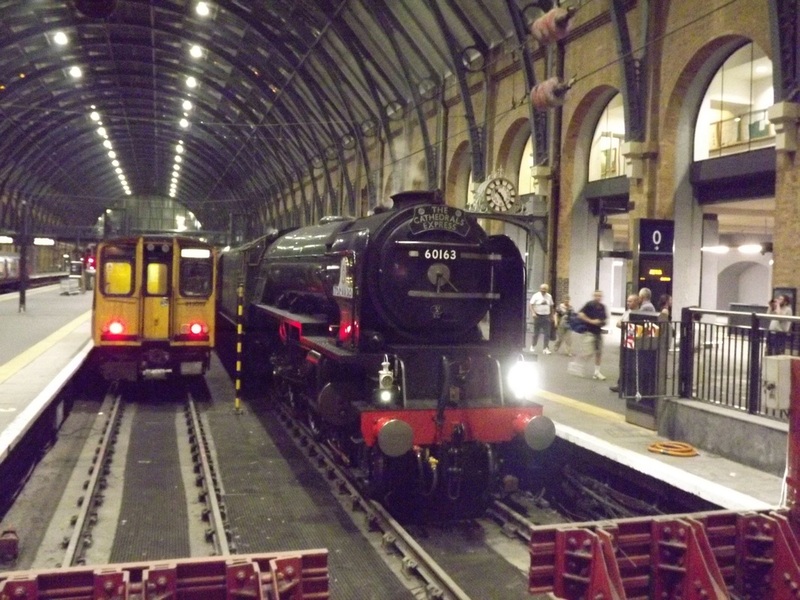 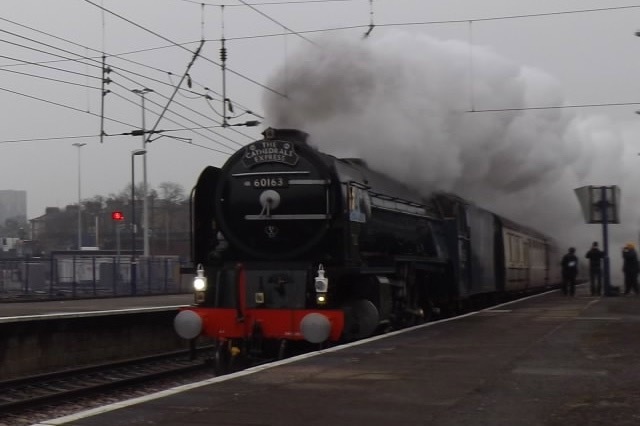 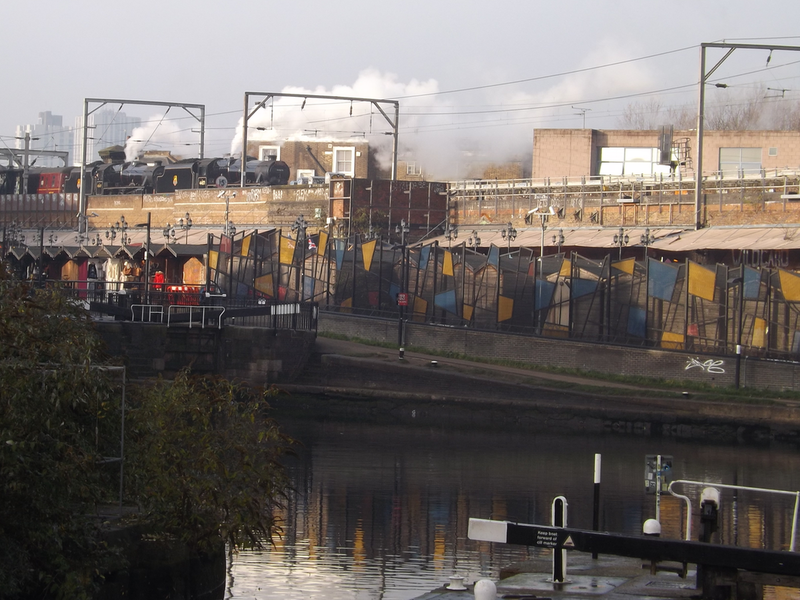 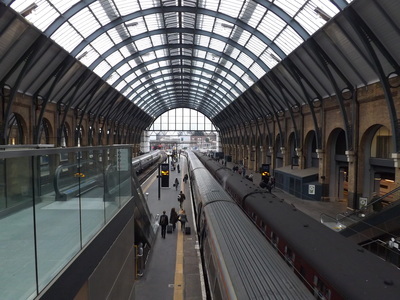 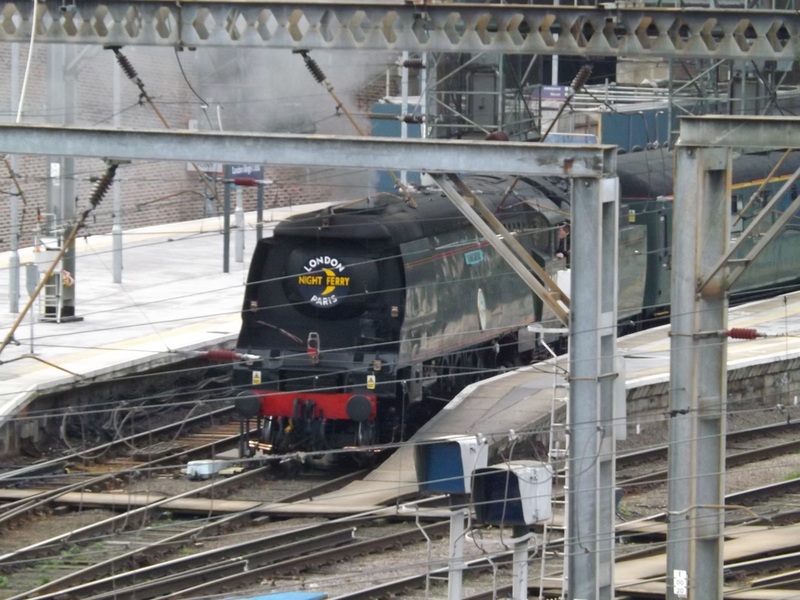 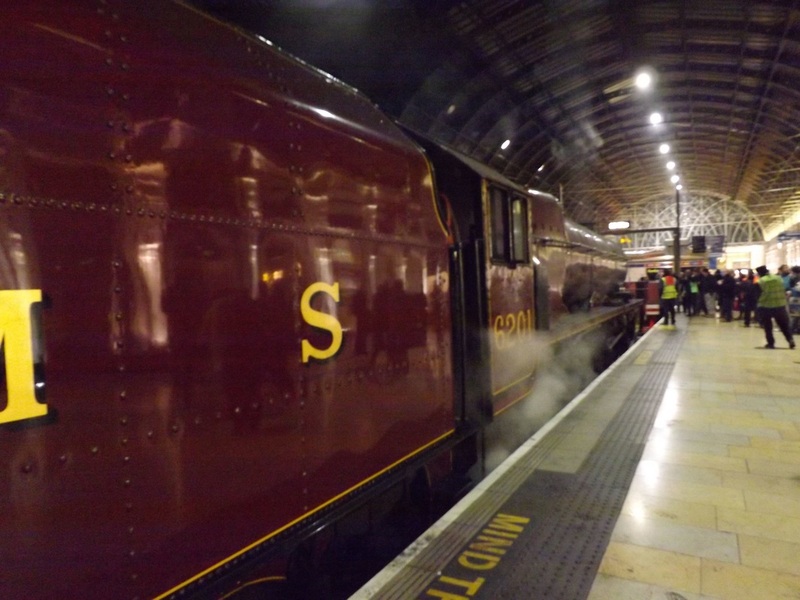 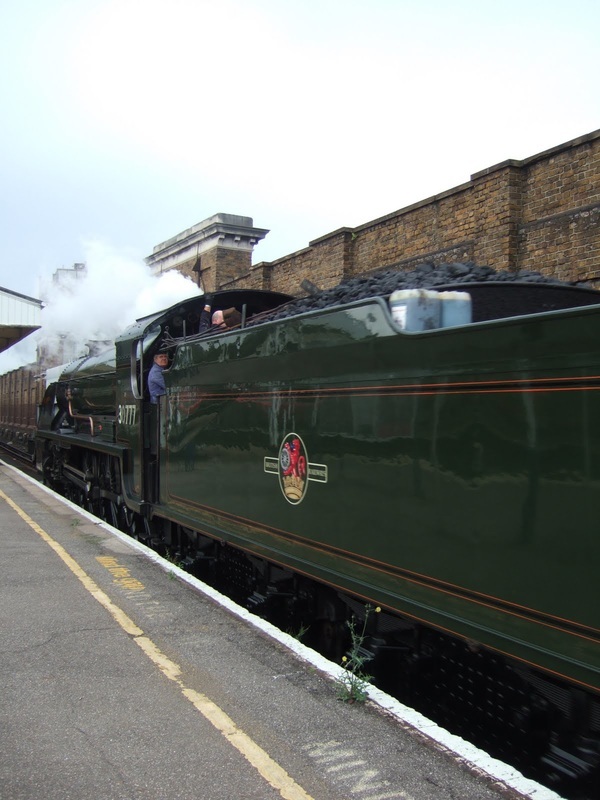 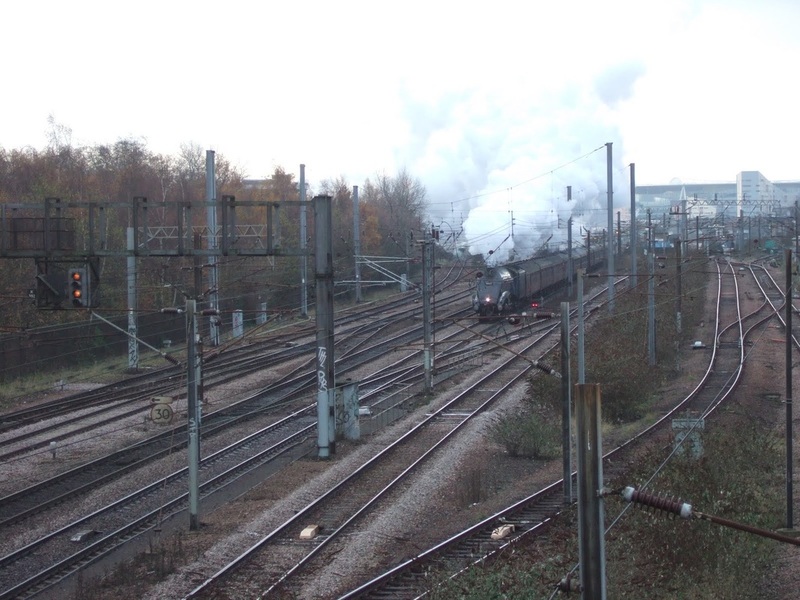 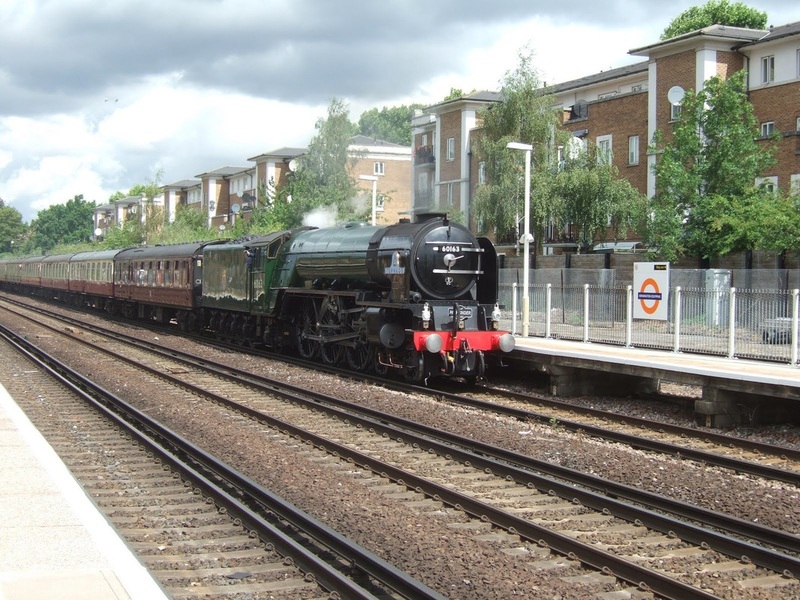 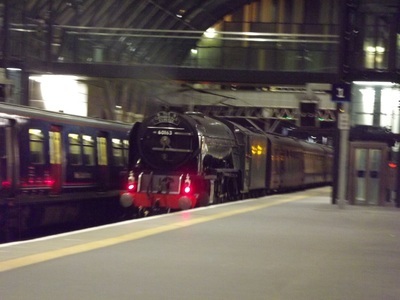 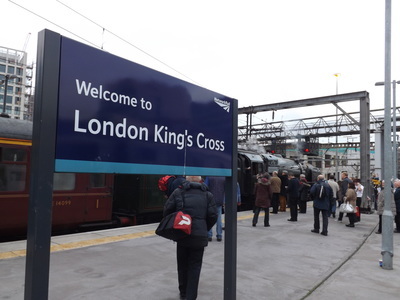 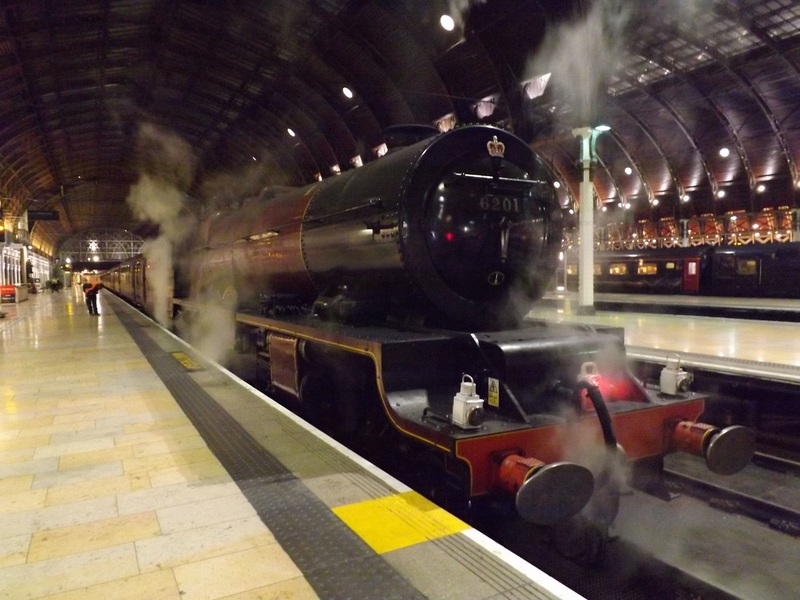 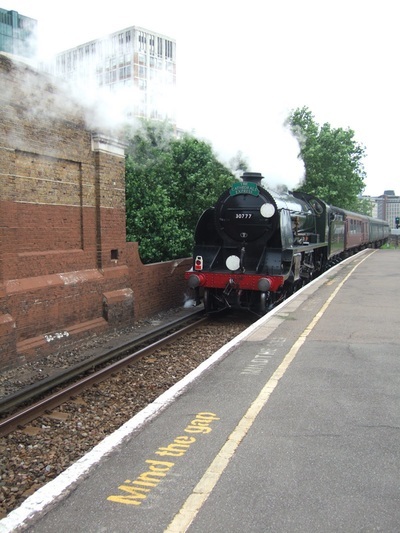 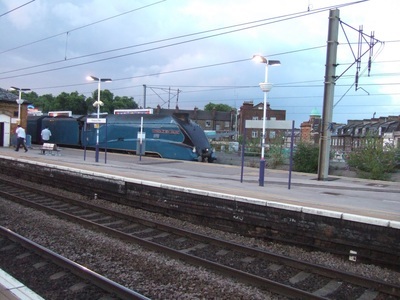 Footage of main line railtours throughout Greater London.